Music begins by setting up an easily recognizable pattern whereby the last note of four is reused as the start of the next group of four notes – repetition breeds familiarity of sorts and reintroducing ideas is a powerful tool for a musician. The musical idea gains added strength when it does an about-face – the direction simply changes. Incidentally, when a listener notices something of their own accord they either consciously or subconsciously feel good about themselves: they feel empowered and rather chuffed. Make it easy for them to enjoy music. Your music. 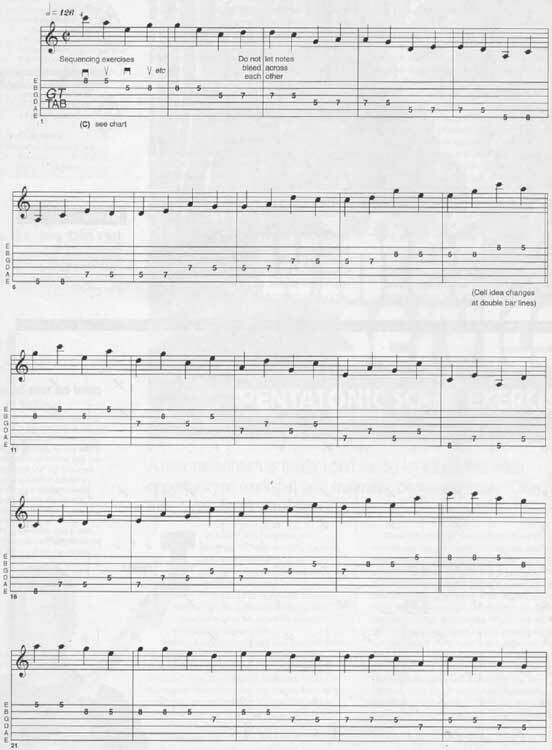 Next in the Pentatonic Scale exercise is a pair of notes skipping upwards while there’s generally a downward tendency (listen to the music to hear what I mean). Then that section is flipped, kind of mirrored in a symmetrical way – rather predictable, I’ll admit. You can figure out what the rationale is for each of the rest of my ideas if you wish; analyse as much or as little as you want to (there’s nothing groundbreaking here but, hey, I’m trying to limit this work-out to stuff you might be able to remember). If you can play this piece in its entirety and in time, then you’re a better… ah, no one expects the Spanish Inquisition! 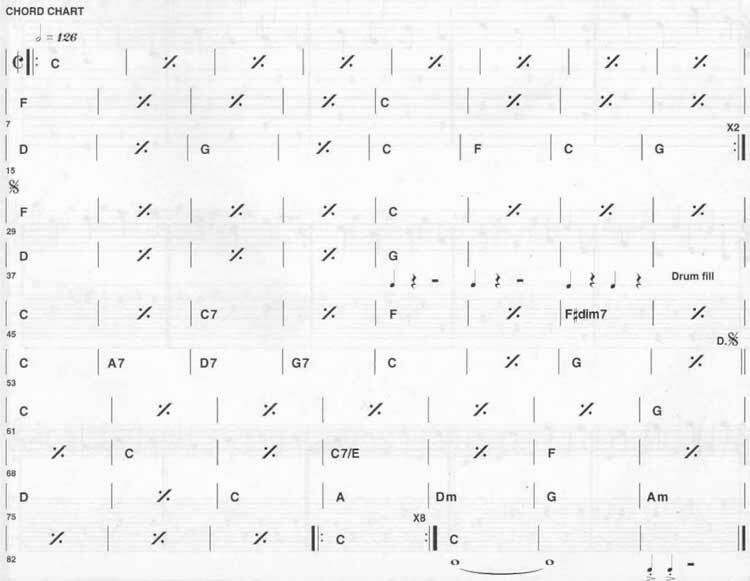 It’s a part of Pentatonic Scale Exercise. © 2012 - 2019 TabsClub Powered by TabsClub 42 queries in 0.261 seconds.